Inspired by the lights and glamour of New York City nights, this campaign introduced the redesign for the Tiffany Victoria and Tiffany Bows collections. Partnering with the Creative Visual Merchandising team, we developed developed window displays playing with light and texture. 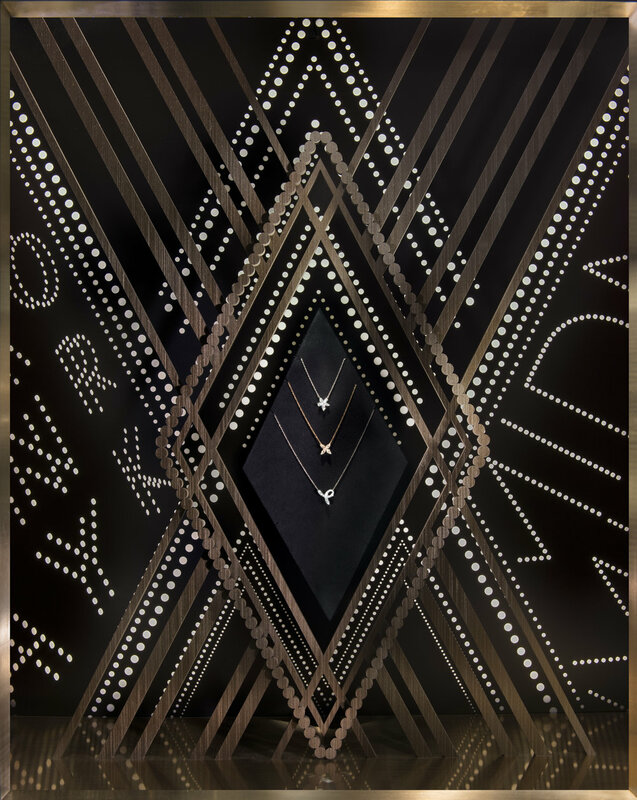 The backlit graphics inspired by the NYC skyline and marquee lights layered with architectural influences made of "brass" created a visual metaphor for the nightlife glitz and glamour.